Web hosting is an essential element of modern Internet infrastructure, and without web hosting providers – the entire concept of the World Wide Web would quickly crumble to the ground. That is why even “ordinary” individual users need to be familiar with the basics of web hosting, predominantly with the fact that all of the files that make up their websites and webpages will be stored on specialized computers called servers. 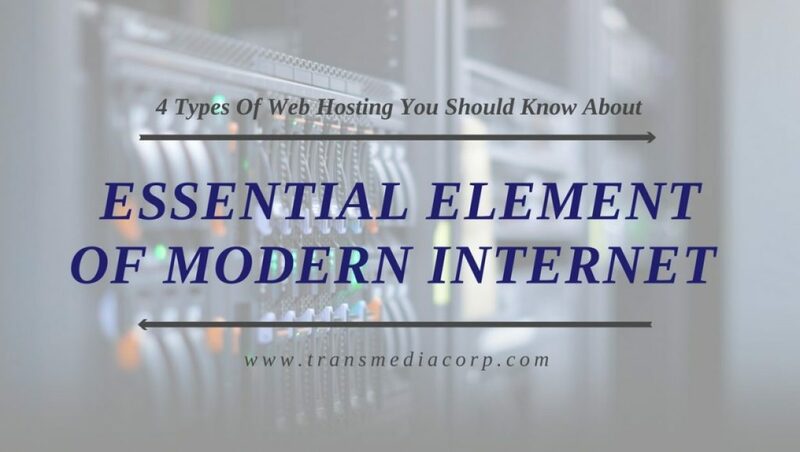 In essence, hosting can be translated as the process of renting out space on a server, and there are different ways to which this activity is performed. The differences between these types are connected with storage capacity, server speed, reliability, and so on. Even though free hosting is highly unreliable and has a lot of downsides – people from all over the globe are using this method, due to various reasons. Free hosting typically entails slow connection speed and an abundance of advertising banners which are out of your control., but you will still get a functional web page free of charge, and some users are satisfied with this fact. Also, fee hosting does not allow you to choose your own domain name, and that is why most people use free hosting for fun or for trying out web design features. Shared hosting is often compared to living in an apartment building where you share the amenities with other users, bearing in mind that you could have few thousand neighbors with you on your shared server. And just like in a building, not all neighbors are nice and polite, and the so-called bad neighbor effect can drive all bandwidth and other resources away from your website, leaving you stranded and attempting to get your page back online. Luckily, shared hosting is affordable and it requires very little technical knowledge. Unlike shared hosting where you are not alone on a server, dedicated hosting plan will provide you with an exclusive access to a server unit. In other words, you will have “root” access to the software and all of the resources, including hard drive and memory will be at your disposal, exclusively. Besides the full control, you will also have the opportunity to enjoy extreme fast performances and reliability, but on the other hand – you will have to pay for the pleasure as well, and dedicated hosting typically exceeds $100 per month. Virtual Private Servers are the middle ground between shared and dedicated hosting options, and that is why the majority of website owners decide to use VPS plans for their needs and preferences. The basic principle behind VPS is that the actual physical server is occupied by several users, but they receive access to pre-allocated space and these segments are divided and managed by a hypervisor. Users receive full control over their virtual server, and this allows for well-balanced performances and security. Also, the average monthly rate for a VPS plan is not overly expensive, which additionally boosts the appeal of this web hosting type.